The division of Student Affairs has a long and rich history in the field of higher education. It’s position of importance has not always been accepted or understood. 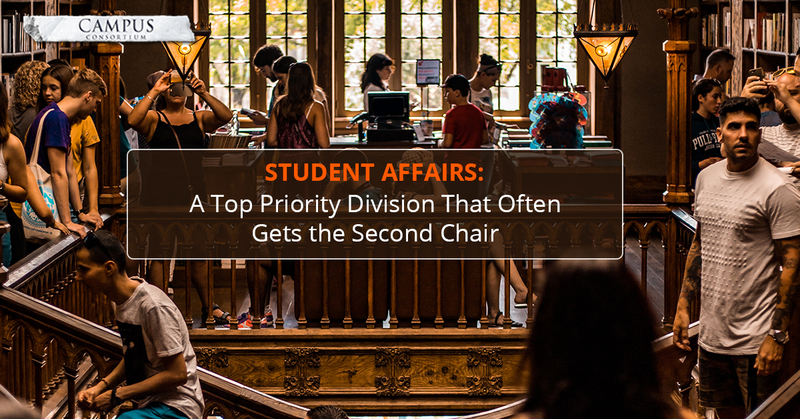 You might even say, it has been the “second chair” among seats at the table of life at most universities and colleges. What is meant by the phrase “second chair”? In the legal field, it commonly refers to a lawyer who helps the lead the attorney. Within the field of music, the same phrase refers to someone who is very good at playing their instrument but who is not “first chair”. Basically, the person functions at the level of an understudy in the world of acting or the theatre. In essence, student affairs staff have often been treated as second class members of the academy. Where did our journey as student affairs professionals begin? Perhaps a quick overview of some key historical events may shed some light. According to a recent article published in the Journal of College Student Development by Michael S. Hevel (Toward a History of Student Affairs: A Synthesis of Research, 1996-2015, volume 57, number 7, October 2016), an overview of the field illuminates three major themes of the historical literature. One theme refers to scholars. It focuses on the most prominent individuals of the past, positions they held and work they were assigned. This theme is referred to as the “Position and Practice” area. During the late 1800s and early 1900s, most student affairs personnel had titles such as “dean of women and dean of men”. Early faculty positions were not offered to the dean of women but they were offered to the dean of men. This would be an early example of one of the forms of discrimination in the field. A second prominent theme refers to something Hevel calls “Professionalizing”. This area focused on attempts to establish student affairs as a unique professional realm of practice. The third and final theme of his historical analysis of the field attempts to explain the institutionalized discrimination in the early twentieth and twenty first centuries, which includes references to racism, sexism and homophobia. These practices were merely a reflection and microcosm of the established rules exemplified in the larger world of work and society. When campuses became coed, the need for gender based roles diminished and the emergence of the dean of students’ role prevailed. Early deans of students focused on regulating housing issues and managing the disciplinary/conduct process. Over time, the staff of the dean grew along with their expanding responsibilities. Those expanding responsibilities included housing, dining, Greek fraternities and sororities, support services, event programming, health care, counseling and campus jobs for students. Included in the student affairs history is a major shift of focus from student personnel, which focused on helping students identify career paths and vocational counseling, to student development. Student development theory emphasized the need to examine student growth as a result of the higher educational experience. Some of the major founding theorist include Chickering’s Identity Development, Kohlberg’s Moral Development, Astin’s Theory of Student Involvement and Perry’s Intellectual and Ethical Development. The impact of these theories on the professional field of practice for student affairs professionals began around the late 1960’s, 70s and 80s. With the emergence of professional theories, there was also a greater need for professional organizations. Six dean of men founded the premier student affairs professional organization back in October of 1918, one hundred years ago at the University of Wisconsin. It is now called NASPA. Another major organization is called ACPA which formed around 1924. Each of these organizations have thousands of members nationally and internationally. A closer look at NASPA indicates that they have 13,000 members represented at over 2100 institutions. Why has there been an expansion of the role, function and membership in our field? I would say it is because of the ever increasing complexity and nature of today’s college student. Currently, there are approximately four generations of students matriculating at our institutions of higher education. The four different generations of students would include Baby Boomers, Generation X, Generation Y/ Millennials, and our newest incoming class of Generation Z. Each generation has unique histories, values, preferences and attributes. During my thirty-year career in higher education, I have worked with students from every one of these time periods. Today’s students enter college with a host of challenges. Many are first generation, middle class or low income, academically challenged and technologically driven. Traditional academics are prepared to teach their respective disciplines but today’s student has a host of needs that become evident inside and outside the classroom. Students are taking classes on the average, 15 hours per week. There are 168 hours in every week. Subtract the in class time and it’s easy to see that the other 153 hours occur outside of class and within the domain of student affairs professionals. We provide a host of services and resources to students that help them focus, achieve, prioritize, stay healthy and progress. We even save lives! Just ask any student health center staff member or psychological counseling professional. When you add up all of these responsibilities, one can easily conclude that student affairs professionals are second to none and deserve a first class status along with the academic affairs faculty and staff. 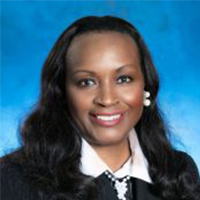 Dr. Green is Vice Chancellor of Student Affairs at the University of Wisconsin, Oshkosh. Her professional service to higher education spans three decades and includes a variety of administrative roles at five public universities. Dr. Green received a B.S. in psychology from Manchester University in Indiana. She also has a M. A. and a PhD in Counseling Psychology from Southern Illinois University. Throughout her professional career she has been engaged in teaching, research, grant writing and developing innovative student retention initiatives.